Explanation: This asteroid has a moon! The robot spacecraft Galileo currently exploring the Jovian system, encountered and photographed two asteroids during its long journey to Jupiter. The second asteroid it photographed, Ida, was discovered to have a moon which appears as a small dot to the right of Ida in this picture. 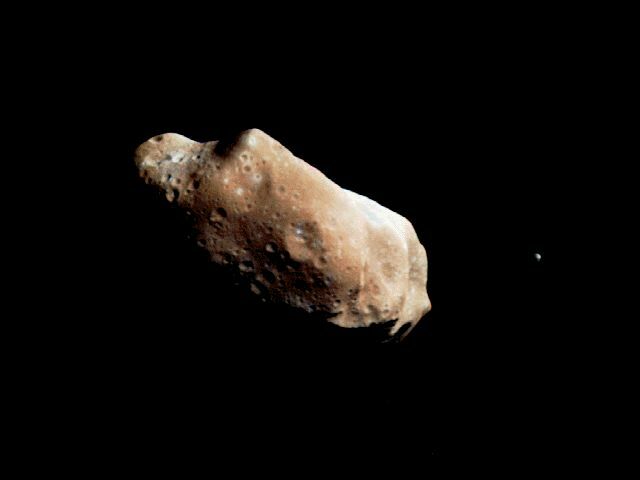 The tiny moon, named Dactyl, is about one mile across, while the potato shaped Ida measures about 36 miles long and 14 miles wide. 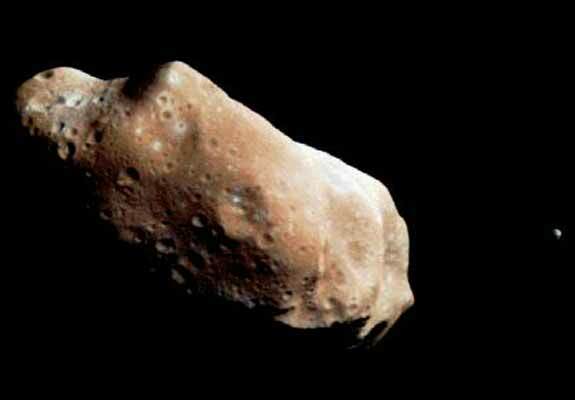 Dactyl is the first moon of an asteroid ever discovered. The names Ida and Dactyl are based on characters in Greek mythology. Do other asteroids have moons?